All Arrowbear homes currently listed for sale in Arrowbear as of 04/19/2019 are shown below. You can change the search criteria at any time by pressing the 'Change Search' button below. If you have any questions or you would like more information about any Arrowbear homes for sale or other Arrowbear real estate, please contact us and one of our knowledgeable Arrowbear REALTORS® would be pleased to assist you. "Great location! Only minutes from Snow Valley. 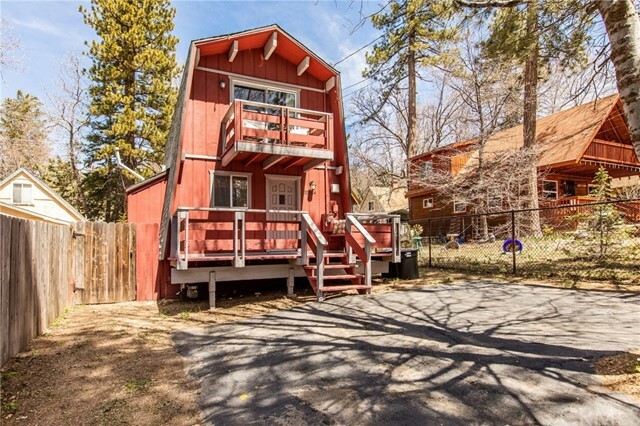 Secluded in the hillside of this great mountain community you will find this perfect cottage/cabin retreat. 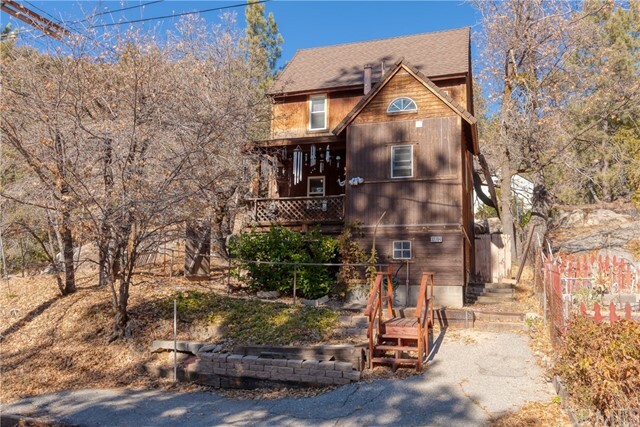 This great home is only 20 years old and it is located on a cul-de-sac street offering the peace and solitude you have been searching for in a mountain home. The outdoor setting is phenomenal with boulders in the backyard and just a stone's throw to the forest. Elevated position off of the street with easy access to parking and the front door! You will love spending your mornings or evenings on the front deck or backyard. You certainly won't be disappointed with the spacious interior! Great entryway with main living on the 1st floor that offers open living. The bedroom is spacious with large closet and great views of the hillside. Other great amenities include~unfinished attic with pull down stairs~laundry~vaulted ceilings in entry & bathroom~hearthstone stove~new blinds~new water heater~original plans and drawings and the list goes on!" "Love watching those home renovation shows where you take a house that's a diamond in the rough and polish it all up? Well, here's your chance! 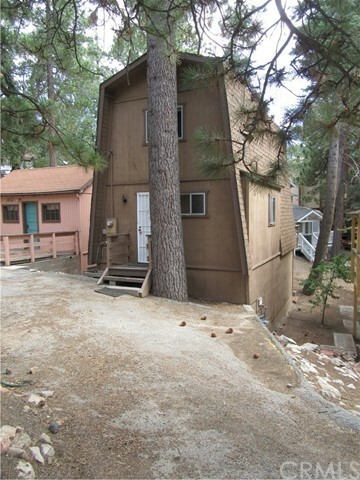 Commuter friendly location and within 45 minutes to Big Bear and San Bernardino. The house needs a little bit of work, mostly cosmetic, which is reflected in the price. The top floor consists of the Living room, Kitchen, and Full Bathroom. The middle level has two Bedrooms, one on each side of the staircase. The lowest level is the buildup, also divided into two sections, one of which is being used as a Bedroom. Located on a corner lot with only one neighbor close by." "Great starter home or weekender that features hard wood floors in living room and bedroom, tile floors in kitchen and bathrooms, and open beam ceilings. Down stairs has living room which features a wood burning fireplace with gas starter, kitchen and bath. French doors in the kitchen open up to flat, usable fenced back yard. Upstairs your will find two bedrooms and a bath with 10 jet spa tub. 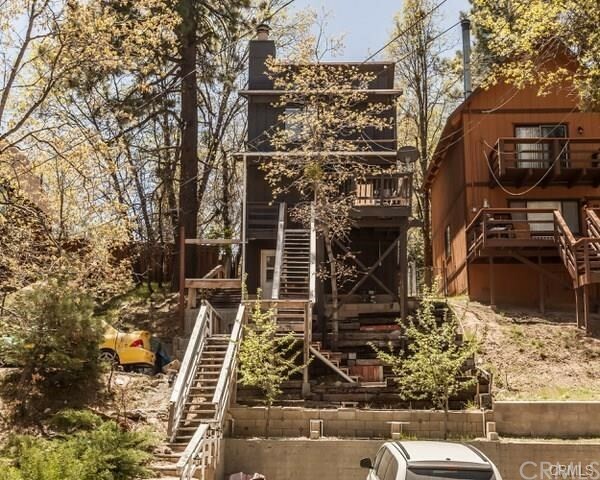 Two decks off the front of the property offer a nice tree and mountain side view. Don't forget the partial finished basement that could be workshop that contain washer and dryer. Outside needs some TLC but inside is good to go!" "Cute as a button and ready to enjoy! Darling gambrel cabin on a flat lot with great parking! Just a quick ride up to Snow Valley for winter skiing! Home has been updated with new carpet & paint. Nice rock fireplace with wood burning stove insert for those cold winter nights. Even has a stack washer & dryer! Light & bright with lots of windows. Easy access and just a couple of steps up to the front door. Great commuter location, close to Hwy 18 & Running Springs. An excellent buy! This one won't last long!" "Come Check Out This Adorable, Classic Gambrel! Recently Refurbished With New Interior Paint And New Flooring Too! 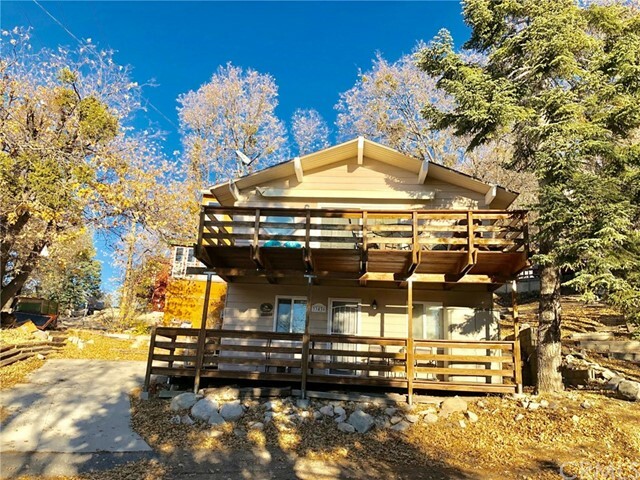 Conveniently Located In Arrowbear Lake, This Little Gem Will Make For The Perfect Commuter Home, Or Weekend Getaway You've Been Looking For. Main Level Includes Full Bathroom, Back Deck Access, Open Kitchen And Living Room With Beamed Ceiling And Rock Fireplace. Both Bedrooms Are Upstairs Including One With It's Own Personal Deck! The Easy Entrance Build-Up Features Washer/Dryer Hookups And Utility Access. A Short 15 Minute Drive To Either Snow Valley Ski Resort Or Santa's Village Sky Park Will Keep You Entertained With The Sun Or Snow. Affordably Priced To Make It Yours Today!"